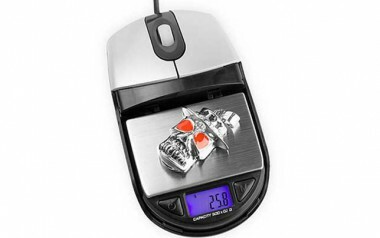 What kind of person needs a scale in their mouse? A small-time hustler, obviously. Brando's mouse offers a kind of discrete simplicity that any drug dealer could appreciate. could help you get away with it. Underneath its smooth enclosure is a small digital scale. It can measure up to 500g, more than enough to accurately measure and keep track of a small supply. Because think about it. Would your average Joe have any use for this? No. So I think Brando knew exactly what they were doing here.